A neighbourhood is only as good as its surrounding pin code and its surrounding peace. At Rameswara Waterview, distances are only a matter of minutes so that you're never too far from the world. Its proximity to Markets, Schools, Hospitals, The airport and City Centre, New Town makes it the ultimate living address in Rajarhat. 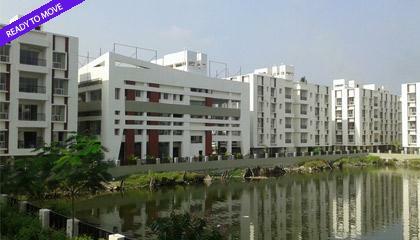 The Rameswara Group is one of the foremost in the Kolkata real estate sector and is associated for the last four decades with a number of projects that adorn Kolkata's skyline - Rameswara Apartments, Metro Towers, Metro Plaza, The Residency, Tolly Gardens, Sunflower Gardens, the British Deputy High Commission and South City Projects (partners), to name a few. 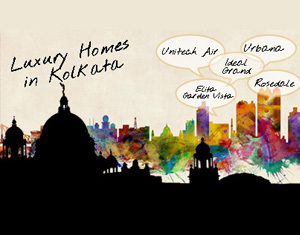 The Rameswara Group is one of the foremost in the Kolkata real estate sector and is associated for the last four decades with a number of projects that adorn Kolkata's skyline - Rameswara Apartments, Metro Towers, Metro Plaza, The Residency, Tolly Gardens, Sunflower Gardens, the British Deputy High Commission and South City Projects (partners), to name a few.